This is a project that I posted at the very early stages of my site, and in one of the many moves we have made over the course of the last year, the images were all corrupted. I thought it would be nice to repost this, complete with the images (crazy right) and with a showcase of this project that was created by one of my friends. It’s amazingly beautiful and far surpasses my original! Makes Mama proud! This project was really fun to do, took less than an hour, cost around $10 and leaves lots of room for you to embellish as you like. For my home, I chose to go without embellishment for now, but I think that a smattering of seashells or sea glass would look wonderful. I love the minimal aspect of the one I created, but would consider adding just a hint of silver or turquoise glitter along some of the burlap edges at some point. An embellished version of this wreath above, created by my one of my girlfriends! Isn’t it amazing? She puts mine to shame! To shame I say! I am fairly certain every coastal chic wreath now needs feathers! 1. A Pressed Paper Floral Ring – This can be purchased at your local craft store for around $2. I chose this rather than a wreath ring because of the material it was made of and the color being very similar to burlap. I figured this would require less burlap wrap since it would blend in rather seamlessly. 2. 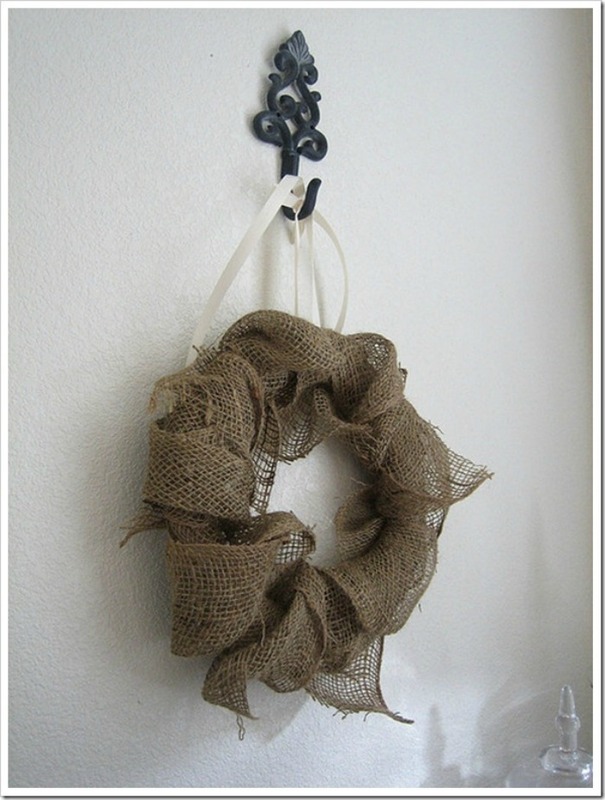 Burlap Garland – I found this in the same aisle of Michael’s as the floral ring and was $4.49 for 10 yards. I didn’t even use half of it for this project, so I will have leftovers for something fun in the future. 4. Package of Mini Glue Sticks – I think this was around the same price as the glue gun (I can’t quite remember) and I ultimately used 8 of them. 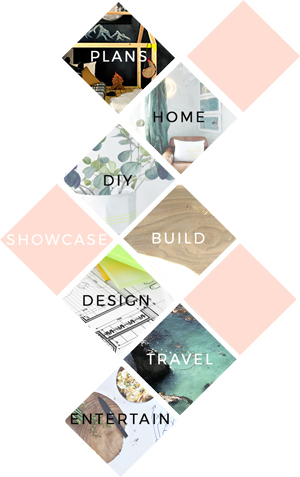 I tend to be a bit glue happy with my projects so you might not use quite as many as I did. Keep in mind that if you are purchasing a mini glue gun, that the mini glue sticks go faster than the regular sized glue sticks so you will use more of them. Still they tend to be more affordable in my opinion (since the gun that goes with them is considerably cheaper). You will want to loosely wrap your floral ring in your burlap to cover it. Tuck the end of your burlap under the starting point and place a hot glue dollop to hold it in place. You will want to glue only on the back side of your ring at all times! When you are gluing you will want to glue the burlap to the burlap and also to the ring (you may need to hold your burlap in place as the glue hardens each time. This will ensure that it doesn’t come undone anywhere. This doesn’t need to be perfect it is just to keep the ring from showing through. Cut your burlap garland into 18 inch strips and cut at an angle(do this as you go along so that you don’t hack the entire roll to pieces). They don’t have to be exact and you should vary the lengths as you go to add more of an organic feel to your wreath. This is suppose to be reminiscent of the sea so you are trying to avoid uniformity. top (outside) or bottom (inside) of your ring and glue it in place. Once that dollop has dried you will wrap the strip (again either over or under depending on which direction you decide to go) partially around the ring so that your strip is to the front of your ring. Keep it loose and then give it a twist (either direction) to add an organic flow to it. Then continue wrapping the piece around to the backside still keeping it fairly loose. When you feel you have given that strip a nice placement and shape, glue the end of it in place on the backside, making sure to leave an inch or two, hanging down (or up) once again. Once all of your glue dollops have dried you can add embellishment to the front if you like. I would stick to relatively light weight objects so that you don’t smash your burlap down and have to put large glue spots all over the front. Any gluing you do will show unless it is a small drop for a small object.. Think tiny little shells that don’t require major securing to the ring and can be glued to the flowy burlap instead.